For your Christmas reading pleasure, today we’re continuing my “This Writer’s Life” series, in which you get to meet some of my Called to Write Coaching Circle members and take a look inside their writing lives. Hopefully the holiday fervor has died down for you now, if you celebrate Christmas, and you’ll have a few quiet minutes to read about this inspiring writer, Rick, a Swedish businessman and historical thriller writer who recently completed a major novel revision … in the dawn hours. 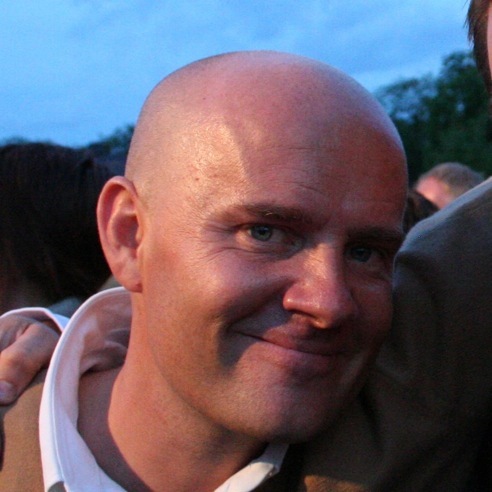 Rikard, whom we fondly call “Rick,” has been with the Circle since 2012. Rick is a constant with our group — always writing, never giving up, even through the ups and downs of a major novel revision. He’s just finished his 8th revision and is getting ready to submit his novel to agents after getting some final feedback from his story coach. You may remember Rick from an earlier guest post when he finished the first draft of his novel after jump-starting his writing habit with five minutes of daily writing. When he joined us he lived in Sweden, but has now moved to Reno, Nevada, where he is working as the CIO of a Swedish startup, raising his family, and writing. To say that I am gratified by and proud of his achievement is an understatement. Having written alongside Rick for these last four years has been a true gift. It’s so easy when we see people reaching major milestones like this and to compare ourselves to them. But when we are right there with them in the trenches, seeing all the challenges, the highs, and the lows, it’s just a giant celebration for all of us to see him being ready to start submitting his completed manuscript to agents. What kind of writing do you do, and where are you in your process? When I write it’s mainly fiction but I also do business plans, research grants and business presentations. However, when I refer to writing it is my creative endeavors that I think of. Right now I’m putting the final touches to an historical thriller set in Sweden in the 16th century I’ve been working on for the last five years. I used Storyfix, The Story Grid, and the services of a professional reader in my revision process. How has your writing practice changed since you joined the Circle? The Circle taught me about the importance of process and how you can trust that process even when you don’t know where you are or where you’re going with your writing. Keep on writing and roll with resistance. Nearing the finishing of my manuscript I’ve been close to calling it quits a couple of times, but the Circle has gently nudged me forward and pulled me back in. This last year it’s been my happy place when I’ve struggled with the writing. I also feel that Jenna has a set of very hands-on tools to enable me to see through the despair for what it is, handle my resistance, and keep me on track. What have you learned about yourself as a writer? Writing is a lonely business and I need my efforts to be seen. Even if not one single person reads my novel, I need someone to share the ups and downs of getting it done with. The Circle provides just that perfect environment of learning about yourself in likeminded company. I’ve learned that writing for just five minutes in a day, isn’t so much about the progress that day, as it is about overcoming the resistance. That is the real achievement and that positive feeling feeds on itself until you’re suddenly writing two hours a day. That’s magic. Where do you typically write? I have several places I write in. I feel most comfortable in the places where I can feel undisturbed. I need to be able to shut the world out and go inside of myself. That can be in a café, at my desk a couple of hours before everyone arrives at work, or in the study at home when it’s empty. For some reason I tend to go to busy cafés, where I can look up now and then, and remember that there’s another world waiting for me out there when I’m done. What does a successful writing day look like for you? I like to start early, early — preferably in the dark — and write through dawn. Get my hours in before the rest of the world wakes up. Spending the first hours of the day on writing, gives my a sense of accomplishment and I can hit the rest of the day with a smile on my face. I feel like I’ve put what’s most important to me first. What’s next for you with your writing? Roles: Writer, CIO in the healthcare industry, father of two girls, skier, hiker. Biggest writing ah-ha: Stay connected every day with your writing, even for five minutes, this will keep your subconscious in gear to write your story for you. Bio: Rikard Bergquist is a historical fiction novelist from Sweden living in Reno, Nevada, who writes in the mornings and works as CIO for a healthcare start-up in the day. He loves the outdoor life and snow of the Sierra, where he fills his creative well skiing and hiking together with his wife and two girls. 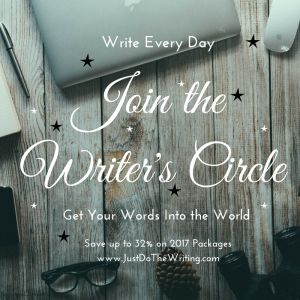 Join us in the Circle and get daily accountability and support to make your writing happen. With our special end of the year savings, you can get a whole year in the Circle for less than $100 per session. It’s the perfect time to join us — our next session begins on Monday, January 2nd so you can start off the new year “write”! Registration closes on Thursday, December 29th. Find out more and join the Circle here. Today we’re continuing my “This Writer’s Life” series, in which you get to meet some of my Called to Write Coaching Circle members and take a look inside their writing lives. Next up is Frani, an action-adventure novelist who joined the Circle in June of 2015. Frani is a psychotherapist who lives in Texas, and has impressed me with her dedication to her writing in the time I’ve known her. She leaves no stone unturned when it comes to her writing, getting out of her own way, and honing her craft, and she recently undertook a massive life redesign in order to make more time for her writing. I invited Frani to tell us more about her writing project and how she has created more space by overhauling her life, work, and even her living situation (including a Great Dane!). I am working on the second in an action-adventure novel series. Right now I’m waiting for beta readers to finish reading my first novel and entering it into writing contests. Soon I’ll be studying the feedback they give me, and begin the work of incorporating what I want to use. I never had a consistent writing habit before I joined the Circle. Before joining the Circle, I had a consistent daily habit of guilt and regret about not writing. Now, most days I feel very good about keeping my daily habit of writing. I often wondered if I just liked the idea of writing and would never really finish anything, but in the Circle I learned that I am a writer, someone capable of finishing a novel. I owe this to the support of the Circle. Completing my first novel is the manifestation of a dream I’ve held since I was five years old. I told my grandmother a story, and she wrote it down. It was about a witch who rode a hula hoop rather than a broom. My grandmother said, “Francie, you are a wonderful story teller. Someday you will write a book.” She was right. There are so many levels of happiness and contentment that I have now, seeing my novel in hard copy ready for beta readers. I’m convinced this would never have happened without our group and you, Jenna. So you have literally allowed a life long dream come true. Thank you! I usually write at my desk at home. Now and then, at a coffee shop with a friend. I also work with my editor online. We collaborate across the internet in real time and over the phone when we’re working together on the novel. A successful writing day for me looks like putting in at least two hours of writing time on the suggestions beta readers have made on my first novel, working on my second novel, and studying a book on the craft of writing or doing research. I feel good when I spend at least two hours involved in something writing related. How have you shifted your life to make more space for writing? I’m right in the messy middle of changing my life. Over the last three months, working toward the goal of creating more time and mental energy for writing, I have made an effort to streamline my life. In doing so, temporarily I hope, I’ve created more chaos and extra time and energy drains. Things are winding down now, so I’m beginning to get my sense of humor back about all that has happened. Also, a glimmer of hope has returned, that it’s not been madness to try this. I am beginning to see that my writing life could be as I envisioned it in the New Year. I started by closing my office, where I have had a psychotherapy private practice for nearly twenty years. I opened a home office on October 1st. Moving the furniture, changing my address with managed care companies, deciding suddenly I needed to go paperless, adjusting clients to a new meeting space, and all the many boring details of change have snowballed to create extra work. Meanwhile, my home office needed a new driveway and several other changes to create a good space at home for seeing clients. I also rented the larger home on my two-acre property to new renters and found myself embroiled in figuring out how to successfully house their large Great Dane in a way that worked for all of us (especially me, at night!). It is December, and seems like much longer than three months since I began the journey of making my life simpler. That sentence really did make me laugh. I am feeling excited right now about how I see things shaping up. My doubts and regrets about starting this are disappearing, and I’m seeing a new writing life forming in 2017. Maybe it’s true that “change is messy.” It’s sure been true for me. In the same moment, I hear the saying, “no guts, no glory” and get happy butterflies. I’m feeling something wonderful out there with my writing waiting for me to step into it. I can’t wait! I plan to continue working on suggestions from beta readers for my first novel, entering it in writing contests, and working on my second novel. Current writing goal: 1) Incorporate the suggestions of five beta readers into my 1st novel by April 15th and submit to contests, 2) Complete Outline of 2nd novel by January 31st, 3) Complete first draft of 2nd novel by June 1st. Biggest writing ah-ha: Two people I trust to give honest feedback have read my novel and enjoyed it as a good read. My ah-ha is that I have a novel that two people have enjoyed. It’s enough to keep me going a long, long time. Go-to writing platform: The cloud version of Pages for collaborating with my editor. Favorite writing spot: In my living room, looking out over an inlet of the Laguna Madre, in the company of my dog and the large water birds in the distance. 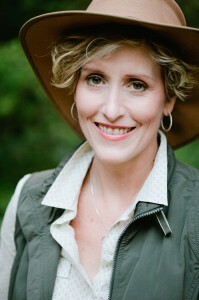 Bio: Frani Bradley is an action-adventure novelist based in Texas who writes alongside running her home-based psychotherapy practice. She’s a passionate animal lover and has dedicated herself to bringing the spirit of adventure, respect for animals, and spiritual inspiration to her stories. Laguna Madre featured image by eutrophication&hypoxia and used under a creative commons license. It’s December, the end of the year. 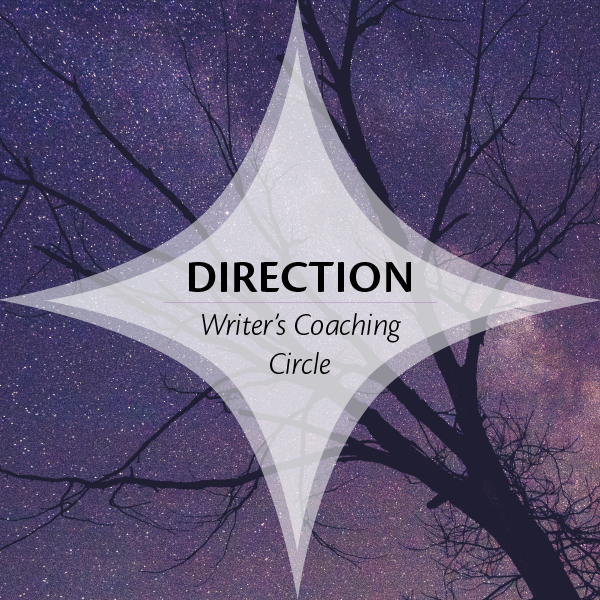 In a continuation of my goal to help you Start 2017 Off Write, I thought you might like to meet some of my Called to Write Coaching Circle members and get a look inside their writing lives. We’ll kick off this series with Rebecca Brams, a local Berkeley writer and longtime Circle member. Rebecca is a Berkeley mom of two boys (we have both of those in common!) and she’s writing a novel alongside parenting and the grant writing work she does. She has been a Circle member for three years. I invited Rebecca to tell us more about her writing and her writing life. How has your writing practice changed since you’ve been in the Circle? I’ve become much more productive and stay on track more easily. I’ve been part of different kinds of writing communities over the years, including when I got my MFA degree, and I’ve found different types of value in each experience. The Circle is unique because of the daily check-in and because of the focus on process, not content. 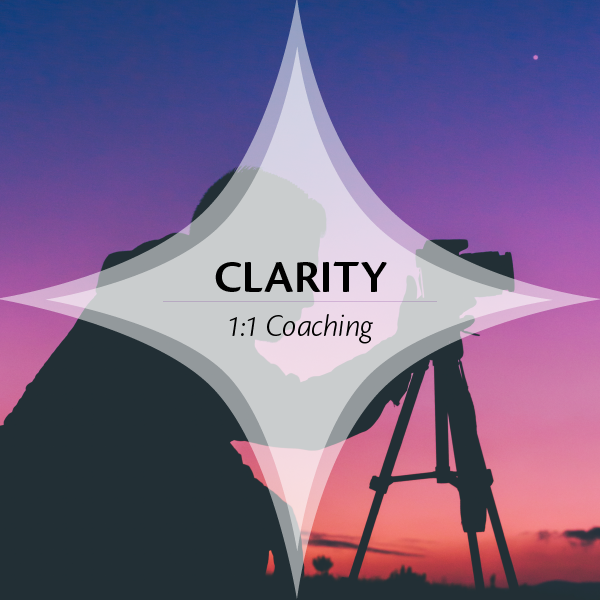 I know that if I get stuck, my coach will offer me a different perspective, and I often use the coaching calls to help me work through issues that come up. Being in the Circle makes me feel like I’m part of a writing community that’s “got my back” and will help get me back on track when I become overwhelmed or lose focus. I’ve learned to trust the ebb and flow of the creative process. Recording my progress on a daily basis (and seeing my fellow Circle members do the same) has shown me that I can have a fabulous writing day, followed by a humdrum day, and then get back into the flow again in my next writing session. Now when I have a tough day or hit one of those “stuck” spells, I worry less because I’ve realized it’s a normal part of the creative process. Also: This is life. This is it. Every day we create it with our choices. Every day we choose to write even though urgent things are calling us, we honor our creativity, the Muse, and the unique voices that can only speak through us. Every day we choose to be gentle with ourselves, we create a life of compassion and peace. These two elements can feel in opposition to each other, but perhaps allowing for the coexistence of opposing forces is necessary for a rich artistic life. How much do you write and where do you typically write? I try to write early in the day, usually right after I drop my kids off at school, before lots of other to-dos pop up. That probably happens three to five days per week, depending on whether there are school holidays, my husband’s work travel schedule, or if I have a lot of client work. I usually work at home, but sometimes I mix it up by going to a café. About once a week, I go to an in-person writing group. When I’m at home, I often work at my secretary desk in my bedroom, but when I’m deep into line-edit revisions, I find I work better sitting in bed or on the sofa — it gets me more into the mindset of a reader. When I’m strapped for time and trying to get in a sliver of writing, I will sometimes even write in my car. My coach has called me a “time-stealing ninja” for the different ways I’ve managed to slide writing into a busy schedule over the years. It used to be that 15 minutes a day was all I tried for. Now my minute goals range a lot more depending on what else is happening in my life. I’d love to work for an hour a day or more, but there are so many different elements in my life that it really depends. Locking myself into a rigid schedule tends to lead to stress and guilt. I try for consistency and keeping up momentum more than getting the same amount of time in every day. And I do writing retreats — often solo weekend retreats — to immerse myself and get in big chunks of time. My big writing goal for 2017 is to finish the second draft of the first book by the beginning of the summer when my kids get off school. It’ll be a stretch, but I’m going to give it my best shot with the help of the Circle. Biggest writing ah-ha: Starting is almost always the hardest part. Favorite writing spot: In bed! 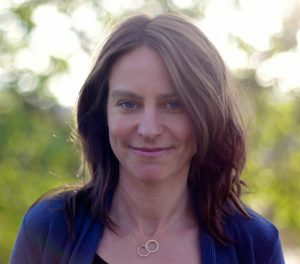 Bio: Rebecca Brams is a writer and mother to two young boys in Berkeley, California. She grew up in California’s Mojave Desert and has traveled extensively in Latin America. She has a B.A. in Anthropology from Stanford University and an M.F.A. in Creative Writing from St. Mary’s College of California. 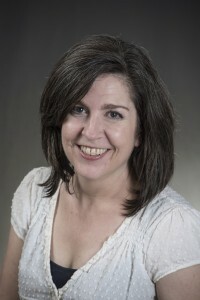 Her fiction and creative nonfiction have been published in Carve Magazine, Literary Mama, Dark Matter: Women Witnessing and on blogs, including her own, www.thismamawrites.com. Registration closes on Thursday, December 29th. Find out more and register here. In that post, I mentioned one of my pals and an amazing organizer, Miriam Ortiz y Pino. Just thinking of her inspired me to ask her to write a guest post for us about organizing our writing spaces. Miriam and I go way back. We met in a coaching program we were both participating in during 2009. I later hired Miriam to help me reorganize my office — virtually! We did the work remotely, by phone, after I sent her digital photos of my messy space. I’m happy to say that even though there are moments where the surface clutter still happens, underneath my office has remained well-organized, thanks to my work with her. Check out her wisdom in today’s post about “defining” our physical space for writing in five, simple steps. Want to write more, or better? Clear some space. We all need a little space and time to get things done. Around the web, there has been a lot written about how to find the time for doing the writing, and a bit of idea-sharing for decorating a writing space, but I want to talk about defining a space for the doing. For anything to happen, whether it is work or play, creativity or drudgery, there must be a space to do it in. You can’t turn cartwheels in a room full of things you haven’t found a place for. Room for doing and creating happens if everything is put away in the place it belongs, save the items necessary for the task at hand. In other words, an area for the doing must be defined. Once defined, a space has an identity and a purpose. Things are much more likely to happen in a space that has been given a purpose. Here are five steps to help you define your writing space. Step 1. To start with: WHERE do you write? The actual location isn’t important, the naming and claiming of it is. It might be the kitchen counter, the home office, or the table at your favorite coffee shop. Know where you will write. This way, when the time comes every day, you won’t waste energy or decision juice deciding where to go to do the writing. Step 2. What do you need to write? Now that you know where, think about WHAT you need to write. The tools that make it easier for you to accomplish the writing. Are you a pad-and-pencil kind of writer? Or do you work better with a pen? If you work on the computer, do you really need 12 notebooks lingering around the space? Would one for notes to check on work? Step 3. Reverse-engineer what to keep in your writing space. Then, reverse-engineer what to keep in the general area. A desk, chair, cup of coffee, computer can stay. Remove anything that is not directly related to your writing. Move these items out or to the periphery. An important note about decorations: There is a fine line between inspiration and distraction when it comes to decoration in a creative space. Keep the inspiration on the desk to a minimum and rotate it frequently or else it becomes clutter. Hang the super inspirational stuff on the wall and honor it with a frame. Starting with a clear writing area lets you get right to the writing. If you have to move a bunch of stuff around just to get started it can take you up to 40 minutes to regain your focus. That seems like a waste of time. You could have been spewing words onto the page! Step 4. Keep your space clear enough to write. To keep the area clear enough to write, have a place for ALL the things that pile up to go. Taking the time to define the spots now saves lots of time later. Here are some specific suggestions for the typical stuff that clutters up a workspace. Have a place for your writing-related things. Are there things that are related to writing that pile up on your desk? Make sure there is a place for them to go. All you need to do is say it out loud and set the thing there. “This top desk drawer will be where the sticky notes live. And this pencil cup will keep my pen and highlighter safe and handy.” Now you know. So create a space to house your ideas for future projects. A notebook, document, bin, folder, or drawer will work. I had one client that used a crystal punch bowl and put the ideas on index cards and dropped them in. And while you are at it, have a place for the other non-writing stuff that comes up too. This can be a separate notebook or document for all the things that require action and flutter through your brain as you work. It will become a parking space. Instead of the thought becoming a distraction, jot a quick note and get back to work. Distribute the thoughts to their proper place after your writing session. Have a place for the things that belong elsewhere. Are some of the extra things items that belong somewhere else? Create a holding spot, basket, bag, or box for redistributing these items at the end of the day. Knowing what to keep in your space, now that it is defined, also becomes easier. There is no need to keep a bag of toiletries in your writing space — or a computer in your bathroom for that matter! Make sure to have a giant recycle bin and a bunch of binder clips handy to keep your good ideas together and the decided-against pages out of the way. You don’t have to empty the recycling bin very often – so if you really needed to retrieve something you can for a while. Step 5. Put your toys away when you’re done. At the end of the day, return all the items you pulled onto your desk to where they belong. If you are going to continue working with some of them tomorrow, just mark where you left off and stack them up neatly so they are handy when you restart. It only takes a couple of minutes and that is a lot less than the 40 minutes to refocus. I’m thinking that’s worth it. The added bonus of defining the space is that it helps keep the clutter pile to a minimum. It’s not clutter if you know what it is for and how you will use it. Knowing where things go means fewer decisions and that means energy freed up for creativity. Now, go write something. Then put your toys away. You might also be interested in checking out the Q&A I did with Miriam called Writers Get Organized. About Miriam: Miriam Ortiz y Pino is a Certified Professional Organizer and Simplicity Expert. She helps her clients ensure that what needs doing gets done. Miriam specializes in creating simple systems that are easy to implement and work FOR you, instead of you working a system. Whether you’re struggling to organize your life, declutter your home, manage your time, get control of your papers, or just feel overwhelmed and frustrated with all your stuff, Miriam will work with you to create the environment you need to live your best life. Find Miriam online at http://morethanorganized.net. Note from Jenna: This guest post is from Terri Fedonczak, a parenting coach, author, and Writer’s Circle coach. I’ve loved working with Terri through the Circle over the last few years, first as a participant, then as a coach. She knocked our socks off by finishing the first draft of her parenting book in just three 28-day sessions of the Writer’s Circle in 15 minute increments of time – after having had the book “brewing” in her for over 15 years. Amazing! When I joined the Writer’s Circle in 2012, I knew that I wanted to finally get my book out of my head and into my computer. I had been “writing” this parenting book for 15 years, as I knew that I needed to get one kid through adolescence before I could have any street cred with other parents. I put writing in quotations, because the book was mostly on tape. The little bit of writing that I did have was on sticky notes and spread across a dozen journals. In my first session with the Circle, I thought I would just get organized. My goals were very small: only 15 minutes a day 6 to 7 days a week. Much to my surprise, I finished the rough draft in just three sessions. “Rough” is an understatement as a descriptor for that first draft. It was a 30-page booklet of disjointed ideas. I told myself that I wanted to keep it short, because parents were too busy to read a long book. That was a nice justification for keeping the real story to myself. When I sent my booklet to my chosen editor, she immediately outed me. She said, “I will edit this book the way it is, but it wants to be so much more. There’s no heart and soul in it. YOU aren’t in your book. There’s nothing about your breast cancer, no struggle, no life coaching journey . . . there’s no mess here. Parenting is messy. You need to show other parents your mess.” She was right. And that started an 18 month journey of re-writes and edits. One thing I’ve learned in the Writer’s Circle is that writing is both infinitely easier and more challenging than I ever expected. It’s more helpful if you flush your expectations of how long it will take or who will like it and just keep showing up to the page every day. As a coach, I see brilliant writers spending lots of time and energy worrying about what other people will think of their writing, or fretting about how long it will take (or is taking). All this worry keeps us in ours heads. Good writing doesn’t come from the head – it comes from the heart. Meaningful writing grabs the reader with its simplicity and elegance and just won’t let go. As readers, we don’t care about how long the writing took or how smart the author is, we want to care about what we’re reading. You can’t fake that or wordsmith your way around it. All you can do is show up to the page and show us your mess. My book went from a dream to a reality. It’s now on Amazon* and Barnes and Noble online, and it was endorsed by the Washington Post as a “must read” in their February Parenting Book Round Up. But more importantly, I have parents tell me how much the book has changed their parenting for the better. That makes it all worthwhile. So, 15 years of vomiting ideas onto paper or tape, one month to a rough draft, and 18 months to re-write and publish. This is what success looks like; it’s not quick and it’s not easy. But with the support of other writers, a dogged determination to show up to the page every day, even just for 5 minutes, and the courage to show us your mess, you will arrive at your own version of success. Terri Fedonczak wants to live in a world where girls recognize their own power and choose to use it for good. On a trip to South Africa, Terri saw the power of the lioness and how they support their pride; it was a lightning bolt of realization that her mission is to bring the power of the pride to girls and their parents. Terri was a commercial real estate agent for 16 years until a bout with breast cancer transformed her life in 2010. She realized that trading money and status for time with her four girls and patient husband was not quite the deal she thought it once was. She left sales to become a certified life coach and embark upon a journey of spreading the message of girl power far and wide. 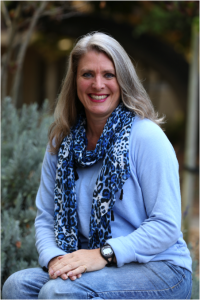 Terri is a featured speaker at the Costa Leadership Institute, helping adults balance their lives, and she takes the girl power message into high schools, talking to 9th grade girls about how to thrive in high school. Her first book, Field Guide to Plugged-in Parenting, Even If You Were Raised by Wolves, debuted in 2013. When she’s not speaking, coaching or blogging, you can find her paddle boarding on the sparkling waters of Boggy Bayou, knitting to the consternation of her children, who are buried in scarves and hats, or dancing in her kitchen to Motown. You can discover your own inner lioness and feel the power of the pride at www.girlpowerforgood.com. Many people have unfinished writing projects that linger for years, but it’s never too late to finish your book. And the time to get restarted might just be now. 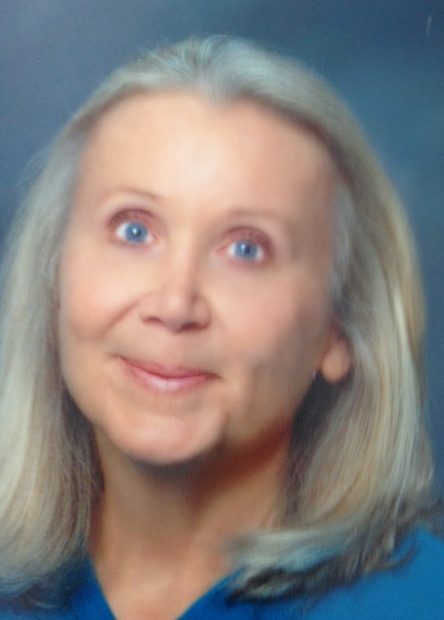 I reached out to Terri Fedonczak, a long time Writer’s Circle member, to talk to us about her experience finishing a long-time writing project after 15 years of dreaming and what that’s been like for her. 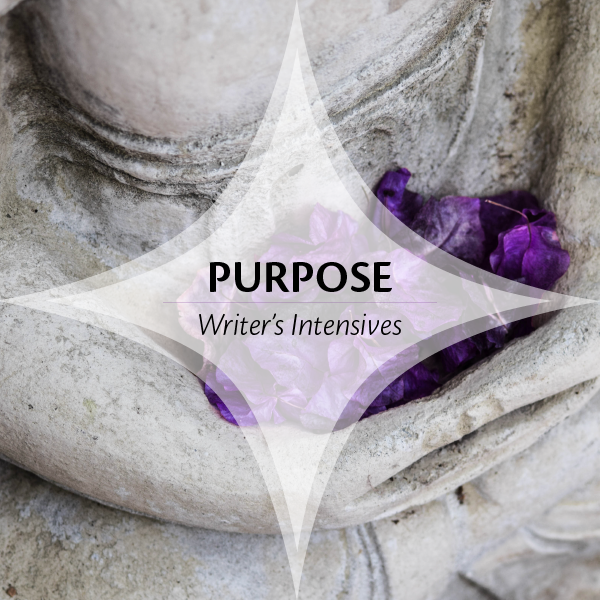 Terri has been such a great participant and gotten so much out of the Writer’s Circle that I recently invited her to join us as a coach for one of our coaching groups on the site. Read on to find out about Terri’s extremely inspiring project for parents (I’ve seen a preview and it’s terrific!) and how she conquered her writer’s isolation and resistance with the help of the Circle and saw her book all the way through to done. Terri, welcome and thanks for being here. First, let’s talk about your accomplishment — finishing your parenting book! What was that like for you? Thanks for having me, Jenna! When I finished my first draft, it was the culmination of a dream I have had for fifteen years. I remember telling my niece about how I wanted to write a parenting book and discussing topics with her; this was in 1996. When I actually finished my first draft, I thought there would be angels singing . . . not so much! What I didn’t realize was the time involved in the editing process — there’s always more! How long had you been working on the book prior to joining the Circle? I spent fifteen years working on the first draft, but I had been jotting down ideas in my journal for ten years before that. In the ensuing years, I wrote little snippets in journals and spoke ideas into my portable tape recorder. You actually finished a rough draft of the book after you first joined the Circle in 2011, is that right? Yes, my first session of the Writer’s Circle was spent culling all the bits and recordings into a little 60 page book. Then what happened that led you to completing this new draft? I interviewed three different editors, and picked Darla Bruno. She read through my first draft and suggested that the book wanted to be more. I hadn’t put my life into the book or any coaching tools. So, I took the challenge and spent the next year or so rewriting it. The completed book is 214 pages, and it’s everything I envisioned back in 1996! What can you tell us about yourself and about the focus of the book? I’m the mother of four daughters: three biological and one bonus girl that came to live with us in 2010. I’m a breast cancer survivor; I mention it, because it changed the course of my life. I left my fifteen-year commercial real estate practice to become a Certified Martha Beck Life Coach, writer, and speaker. Breast cancer changed my priorities completely; the threat of losing my life awakened me to the importance of living my right life. 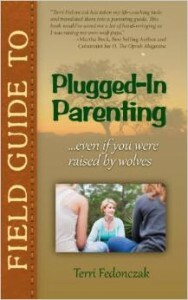 The title of the book is Field Guide to Plugged-in Parenting, Even if You Were Raised by Wolves. It answers the question of how to be a good parent if you have no role models — you know you don’t want to replay your childhood, but you are lost as to an alternative. It’s a compilation of all the parenting and coaching tools I have used successfully with my kids, with some humor thrown in to lighten the load. I walk you through a process to create your own parenting plan, so that your kids will be starting with an infinitely better foundation, thereby ending the wolf-baby cycle forever. Wolf babies is a term I coined to describe those of us who were raised by wolves and suffer from lack-based thinking as a result. Jill Winski was in my life coach training class, and she put out an ad for the Circle on our Facebook page. I saw it and knew that I needed help with making my book a reality. It felt like divine guidance . . . and it was. I’ve learned that there is no magic pill, place, or instrument that delivers a quality product. All it takes is complete honesty, utter vulnerability, and a daily practice of showing up to the page . . . no big whoop! I think the biggest challenge I faced was the feeling that I was all alone in my desire to write a book. I knew I had an important message, I just didn’t understand how to deliver it. With the Circle for support and accountability, my biggest challenge now is the acceptance that I am a writer. It’s not a fluke or a pipe-dream; I wrote a book, ipso facto, I’m a writer! The biggest difference in my writing habit is that I’m no longer plagued with resistance, so I write every day. Some days it’s just 20 minutes of morning pages in my journal, and some days it’s three hours working on a blog post or outline for the new book . . . but I write every day. First of all, join the Writer’s Circle! It’s the best way to incorporate writing into your daily life. Secondly, write every day, even if it’s just 15 minutes in your journal. While your logical mind is busy watching your hand move across the paper, the most delightful tidbits will rise up from your creative mind. When one pops up that excites you, expand it . . . like you’re telling your favorite friend a story. You don’t need anything other than a pen, paper, and a bit of quiet time to awaken your creative side . . . and then you’re off to the races! 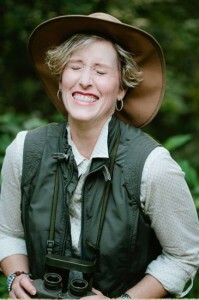 I’m developing a program that I will be delivering to incoming 9th grade girls called, “Field Guide to the Wilds of High School.” I developed the program while on safari in Africa (jeesh, that sounds so hoity-toity), and it’s based on the power of the pride. I watched the way the lionesses took care of the pride, and how their raw feminine power ran their world. It reminded me of what’s missing in Girl World. So I’m taking the program into schools this summer, and then I will turn the results into a book for teens and a corresponding book for parents on how to survive high school. I believe that everyone has a creative person living within them, and that creative energy can turn drudgery into joy. Find some way to nurture your creative side, and your life will blossom in endless and unexpected ways…or at least that’s what happened to me. Terri Fedonczak has 22 years of parenting experience and is a certified life coach, specializing in parent and teen coaching. After 16 years as a commercial real estate agent, a bout with breast cancer transformed Terri’s life in 2010, making her realize that time with her four girls and patient husband was a much better deal than money and status. It was time to put her mission into action. She left sales and embarked on a journey of spreading the message of girl power for good. When Terri is not writing books, speaking, coaching, or blogging, you can find her paddle boarding on the sparkling waters of Boggy Bayou, knitting to the consternation of her children, who are buried in scarves and hats, or dancing in her kitchen to Motown. 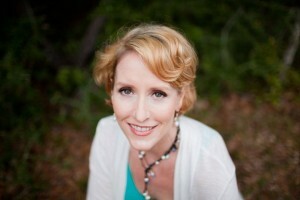 You can follow Terri online at http://alifeinbalance.com and on Facebook here. Look for Terri’s Field Guide to be published in January 2014! Writers who tend to join the Called to Write Coaching Circle — and get the most out of it — often have both a deep call to write (whether they’re doing it consistently or not) and a specific project they want to work on, perhaps one half-completed, languishing on a shelf for a couple of years. And when they find out about the Circle, they’re eager to move past the dreaming or stuck stage into action. This is the story of a man who has done just that. After being in the Circle for a session or two, continuing to write intermittently, and listening to me (harp on about :) ) advocate for early morning writing and small writing sessions as a powerful way to jump-start a writing habit, one of our other members “threw down the gauntlet” and challenged him to try writing for 5 minutes every day and logging in every day on the site to report about how it went for him. He took her up on the challenge. It changed his life. I asked “Rick” (as we affectionately call him in the Circle) to talk to us today about his experience with finishing his novel, how he got there, and what’s he’s learned about his writing process along the way. You may be surprised to find some ideas and inspiration you can adopt for yourself. 1. Rick, first, welcome and thanks for being here. Let’s start off by having you tell about your recent major milestone — finishing the first draft of your first novel. What was that like for you? It was one of the most empowering and surprising experiences I’ve had. Empowering because finally this dream of a novel I’ve had for a couple of years was becoming a reality. I escaped the terror of the first draft and actually produced 75,000 words. Instead of laboring and trying to make early parts of the story perfect, writing and rewriting, outlining and rearranging the order of scenes, as well as reading the latest book on craft and thinking I finally got it, I did the work and now have a substantial number of written pages to show for it. It was surprising because I did it by writing for about an hour every morning during four months — I never thought an hour a day would amount to anything. I surprised myself weekly when I saw what I had accomplished with just an hour every morning. I surrendered to the process, allowing myself to write badly, knowing that it was only the first stage in a big adventure. Overcoming that editor inside of me, who kept telling me it was crap, was a big victory. And my first draft is the result. Now I know that first drafts aren’t supposed to be outstanding perfect novels, they’re just supposed to be written. 2. Can you give us a soundbite about what the story is about and about who you are? The story is set in the 1570s of Stockholm, Sweden. In a power struggle for the crown our hero supports a new queen for the throne, who turns out to be a murderer, poisoning her competition. When his secret love interest is surprisingly accused and imprisoned for the murder, without any hope of pardon, our hero has to choose between his career or saving her. And what price will he pay for the choice he makes? I work in the financial industry, for a private equity company, with business development. It’s hands-on management in selected individual companies in a wide range of industries. Writing is for me a creative outlet and a possibility to follow a totally different path. 3. What have you learned about your writing process from participating in the Circle? Consistent daily work is key to my process. Being consistent means that I stay in touch with my writing, even though I might be working and doing other things during the day. The story evolves and develops in my subconscious, waiting to be served up during the next writing session. Setting goals and being accountable within the Circle, giving and receiving feedback on each others’ processes — in short, knowing that my efforts are noticed by others is a big motivator for me. Focusing on the process rather than the craft, is a very important difference from other writing groups I’ve participated in. For me, this group is about focusing on getting the writing done, every day. What you write, how you write, and when you write is up to you. But do it every day. The accountability and support of the Circle is key to making that happen. 4. What were the biggest challenges you faced before joining the Circle? Have they changed? My biggest challenge was finding time to write. I kept telling myself I needed chunks of at least 3-4 hours of undisturbed concentrated time to get anything done. I used to laugh at friends telling me how someone they knew had finished a novel by coming in 15 minutes early to the office and using that time to write. “It just isn’t possible,” I used to say, but now I know better. I kept on trying to find my big chunks of time, getting them here and there. It was a constant struggle. Looking back, I feel like I wasted a lot of time thinking about how to find time to write, but never doing the actual writing, and instead ending up feeling frustrated and lost. I knew I wanted to write, but why didn’t I just do it? I wrestled a lot with that question. With the help of the Circle I established a habit of rising early and writing for an hour every morning. Consistently. 5. When you first joined the Circle in May 2012, what was your writing habit like and how did it evolve? Were there any key moments where you shifted your habit? Was there a particular trigger or did it build over time for you? At first my writing consisted of sporadic big chunks of time, where I spent the first part of each writing session reconnecting with my story and the latter part coming up with some new tweaks to my outline, synopsis, and characters. I always felt happy and satisfied afterwards, but not continuing to work on it over time always made me question my earlier work when I got back to it. And I was never moving into writing actual words, paragraphs, and chapters of the book, just staying at the outline stage. There were two key moments for me — One: I followed the advice from you, Jenna, and fellow members of the Circle to adjust my target amount of writing time downward until I found a suitable amount that I could do consistently every day. For me that was five minutes. How amazed and surprised I was of the power of those five minutes. It changed my world — I connected on a deep level with my story and gradually increased the five minutes to sixty minutes per day. At first outlining scenes and then actually writing the first draft. And this is where my second key moment occurred — Two: I could not get myself writing. I stalled. I reworked. I was stuck. Again following advice from the Circle I gave myself permission to write badly. I told myself “I am writing crap,” and suddenly I was writing about 750 words during that hour every morning. And surprise, it wasn’t all crap. 6. What advice do you have for other writers? The only way to do it, is to do it. Complete the journey from the first page to the last page. If you can’t do this, it’s game over. Because without the first draft, you have nothing. You need a lot of faith to do it, faith in your unproven ability to write a novel. But give yourself permission to fail, to write crap, to make mistakes, to forget your outline and synopsis and before you know it, you will have your first draft. 7. What’s next for the novel and for your writing? Right now I am revising the draft. Aiming at having a first rewrite done in a couple of months. There are times when I feel like giving up, but I now know that that’s only part of the writing life. It’s a constant flow of ups and downs, you just have to trust the process and keep putting one foot in front of the other. Finishing this first draft, I will turn it into my second and then my third, or as many as I need to finally hold an amazing novel in my hands. 8. Is there anything else you’d like to tell us? Have faith, never give up, and know that in the end you’ll succeed. Once you’re in the habit of writing, trust the process to bring you to the finish line. If you feel down and lost during the journey, just tread water and wait for the next creative wave to come. It always does, have faith. Join me in congratulating Rick on his big accomplishment and help cheer him on for his revisions! Leave a note for him in the comments. Feel free to ask questions too. Tell us what you think about writing for 5 minutes a day. Write first thing in the morning, are you crazy?